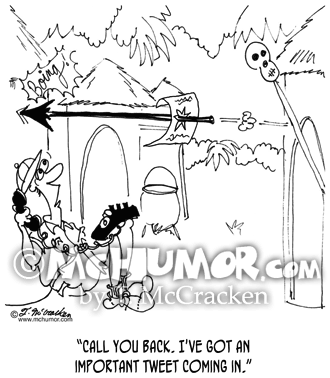 Phone Cartoon 5839: An African explorer on the phone sees a spear with a note on it thrown towards him says, "Call you back. 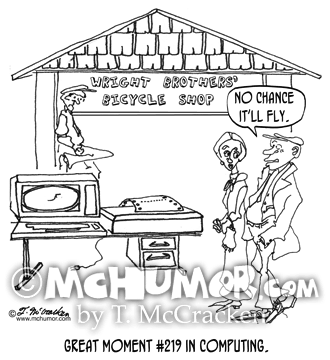 I've got an important tweet coming in." 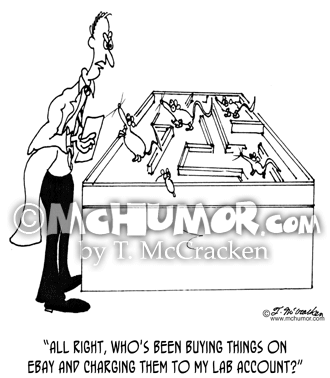 Lab Cartoon 6605: Looking at his lab rats, a scientist, a bill in hand, asks, "All right, who's been buying things on eBay and charging them to my lab account?" 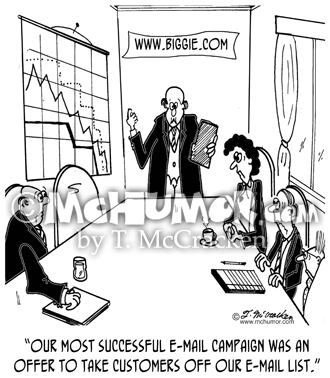 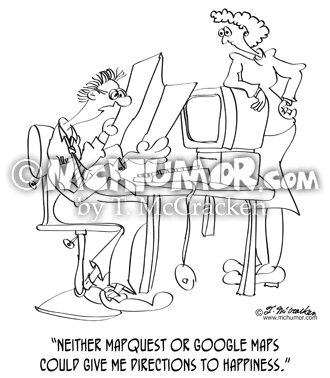 Email Cartoon 8131: A business manager says, "Our most successful e-mail campaign was an offer to take customers off our e-mail list." 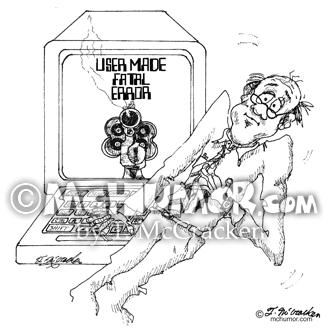 Cyberspace Cartoon 6736: "Will Robinson Finds Himself Lost in Cyberspace." 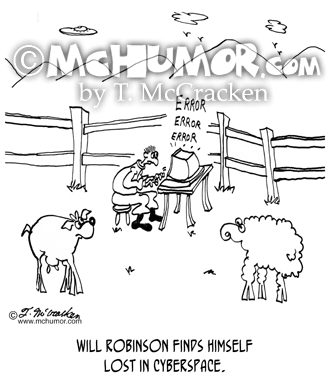 A man middle of a flock of sheep and goats looks a computer screen that says, "Error, Error, Error." 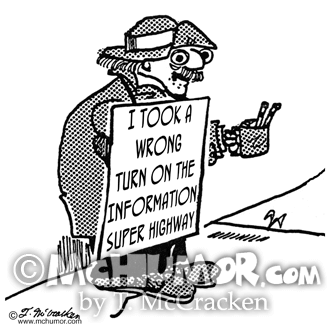 Internet Cartoon 6474: A panhandler's sign says, "I took a wrong turn on the Information Super Highway." 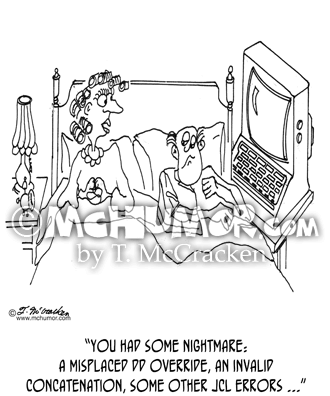 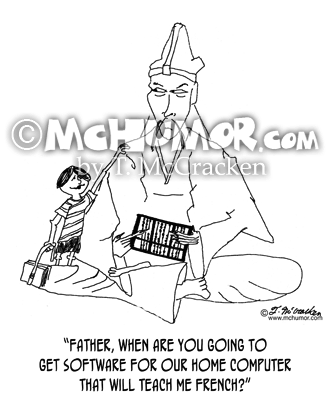 Computer Cartoon 1388: A woman in bed says to her husband, "You had some nightmare: a misplaced DD override, an invalid concatenation, some other JCL errors ... "